Who will like the Messy, Dirty, Filthy walls of the city and creates visual pollution, we guess, No one!! Then whats the solution for all? 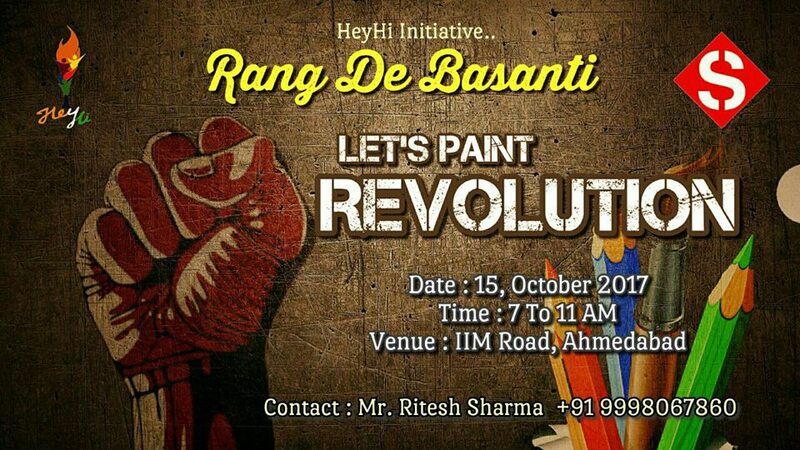 Yes for that solution only we have come of with an Idea of RangDeBasantiif you feel that you can bring Revolution with paint then this event is for you and for everyone who likes cleanliness this project is a choice for them to contribute in the Beautification for their city, we will provide you everything which requires beautifying the city and you all come with your friend and family to be a part of the initiative.